Hammer, Scotch-Brite and Equal to launch new products for 30 years. America Pageant, and finally decided to share some of his expertise in a new book. I caught up with Keith to talk about “Pull” and find out how digital is changing his business. In the book, you say you had always been reticent to share your trade secrets. Why start now? When it was first recommended to me that I write a book about my exploits and the corporate world, I thought that was just the most ridiculous thing ever. But at the same time I realized that very few people were really experiencing or even knew that I had any original thoughts of my own because even as successful as our company is, we only work for a limited number of people. And so one day I said “Why am I hanging on to all of this when I could just share it all with the whole world and it’d be a lot more fun?” And I just did a 180. I called the publisher who’d been bugging me for a year and I said I’m going to write the book. Why is the book called “Pull”? Why not Push? 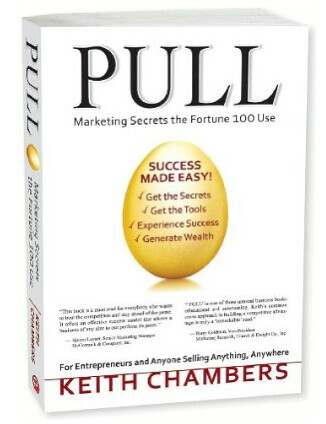 Pull is an observation that I came up with a number of years ago. Pull is essentially a bit of human nature. We are hard wired in the brain to make things ordinary and to get comfortable with them. We know that we can drive business forward by creating products or characterizing products in a way that shows up as remarkable to our consumers. But something always pulls it back to ordinary. And that’s because of the way target consumers are wired. Once you throw something out into the market place, no matter what it is, when it works and you know that it’s successful, you can light up a cigar and put your feet up on the desk for about two days. Then you better start looking for what’s next, because whatever it is you did that caused target consumers to react to it, is not going to last. With more exposure, things become ordinary. So we refer to that force as pull. And we deal with it around here, literally, every day. We also discovered what you add to something that’s perceived as ordinary, to push it over and make it extraordinary again. What you add is character, so you add character to it. And character is directly related to loyalty. Can you explain how character is directly related to loyalty? If you’ve lost your interest in something, because you’ve gotten used to it. That’s very related to loyalty. Let’s just take an example of something, like selling yogurt to kids. For years you couldn’t sell yogurt to kids until it was put inside of a plastic tube. All of a sudden it has some character to it. And so mom relates to it differently and kids relate to it differently. But now that it’s been around a while, you know and it’s been out there for a while, well Yoplait needs to be thinking about what’s next, and believe me they are. Can we talk about the cover of your book for a second? There’s a lot of text on it. In the book you explain why. Can you do that a bit here? Yes, in one chapter we essentially held the cover up as conformant to the principals that we preach in the book. And it does function that way. The entire selling proposition is really pretty much on the front of the book. Pull, as a title of the book is meant to be an attention getting device and something that’s short, poetic, and memorable. Directly underneath it is what we refer to as a generative descriptor and that’s to say that this is about the marketing secrets that the Fortune 100 use. And that is exactly what I did. I repurposed all of the marketing secrets that I had been using and working with, all of the Fortune 100s and I repurposed them and wrote them in such a way that could be understood by people that didn’t have all of the special language and clichés that have come to be used in the marketing world. We have a lot of them. And the benefit to someone who is going to buy the book essentially is “success made easy.” That’s basically what they get out of the book, and all of those check marks that occur underneath it support that success can be made easily. And so that’s really pretty much the way the book works. You write about focus groups in the book. Can you talk about that here? Focus groups are not forward thinking. There’s no forward look or vision out of a focus group. You get a group of people together and you try to talk to them about the future, but they literally cannot do it. And if you got a hundred people in the room and you ask them to create the next generation of television sitcom, they’ll create “Friends” and swear to you that it’s brand new. How does the internet change the game there? We’re at a point now where I think it, that the internet is going to be number one in terms of what your marketing alternatives are, I would say within the next four to five years, that’s how fast it’s moving. When you think about launching a product or a brand or something like that, there’ll be a huge emphasis on how you’re going to handle it on the internet first and then secondly on how you’ll handle it beyond the internet. What about in terms of developing products and listening to consumers? It’s never good for developing new products. Or at least we haven’t seen anybody that’s been able to figure that one out yet and I don’t think you can. 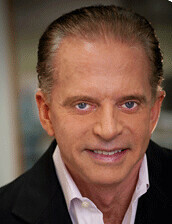 But for listening, most of the research that I’m involved in — that my clients are doing — is done on the internet. You can show concept to more people, faster — and get quicker results — on the internet than ever before. I think almost all research will be done, all volumetric research, I would say will be done on the internet just within the next few years. There will be some exceptions to that, but very few. Do you still consider yourself to be a hired gun? More so now than ever to tell you the truth. Until I wrote this, I didn’t realize the true nature of the experience that I’ve had and the effect that it’s had on me, and the value of what’s in between my ears. Essentially, I have this vantage point of being associated with a launch of something into the market place about every five or six weeks. One week it’s a toothpaste and the next week it’s condoms. Literally. And then the next week it’ll be a line of soups. And after a period of time your sensitivity to the market place and in sort of a general way becomes really amazing. And I didn’t realize it until I sat down and wrote the book. I started looking at the conversations that I have and the meetings that I have, that are considered really critical to the launch of a product or the launch of a service. And I started to realize how much fun it is. It is just fun.